MomDot is a great source of fun, contests and all the mommy blogs you'll ever want to read. This year they are going all out to give away a Christmas Of Dreams. Literally, this contest is mind blowing. The below sponsors are offering up some amazing prizes. So far, the products total OVER $1,000.00! 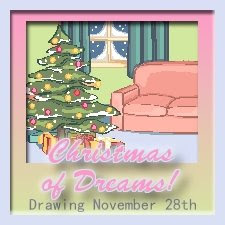 It's hard to express in words how much it would mean to me and my family to win this Christmas Of Dreams giveaway. As much as I love all of the great products being offered, I wouldn't be able to use all of them. I would be more than willing to share my good fortune with my friends and family. In fact, last year we pretty much skipped out on Christmas gifts all together. Christmas is a season of giving. It's very hard when you have very little to give. It was very hard to watch our children receive gifts from so many and not be able to send them something back. Not to mention most of the gifts our girls received were from friends and family, not mommy, daddy and santa. This year we have tried to plan a little better but again there is only so much we can spring for. Hubby's job works less and less from about Halloween to well after the first of the year. It's funny how that works. In a time when people spend more money than ever and yet companies like my husbands have fewer and fewer orders. I tell myself that being a stay at home mother is what we want; that it's the best way to raise our children. Then the red and green lights start flashing and I tell myself... "I should be working. I should be helping my husband provide for us. What if I did have a job, think of all the extra money"...The list goes on. It's not about pity or feeling sorry for us. Each and every one of us faces hardships of our own. We work through them as best as we can and get on with what needs to be done. Except I am exhausted from worry. I want a Christmas of Dreams this year. I want to be able to share my Christmas of Dreams with my family. My nephew, my nieces, our parents and siblings. Those special people have shared and given more to us than we could ever have asked for. While I wouldn't part with some of the amazing gifts from the Christmas Of Dreams give away, I would love to be able to share many of those items in the form of a gift to the many who have given to us. Below is a list of some of the sponsors involved in the Christmas Of Dreams give away. As part of the contest rules, I must choose 5 of my favorite sponsors. This is no easy task. I took the time to visit to each and every one of them and I found some really great goodies! I had to narrow it down to five though. These top five are in random order. I really like the bags that Mimsi has to offer. I am a bag person and I am constantly trying to keep things together when we are out and about. The Tote Bags and The Mommy Bags are my favorite. The Tote Bags would really come in handy when I have to pack to separate bags for each child. I also love the colors and patterns offered. They are very girly and stylish. This would be a great prize as part of the Christmas of Dreams. I also would love for my girls to have some of the soft and beautiful blankets from Shi Shu Style. They so many amazing things besides the blankets too, but to snuggle up with a bamboo blankie would be so nice! Let's Go Strolling has some awesome rides for babies and toddlers. I love the new stroller we bought for the girls over the summer, but with the prospect of having another child, I'd love to own a triple stroller! Yeah, that would be so great! Long walks at the park or the zoo AND I could keep them all contained in one sweet ride! When I first heard about BabyLegs, I was in awe. I love this product to no end. They are cute and stylish and so very easy to put with any outfit. The girls love the two pair they own and I do as well. Especially with the baby, I don't have to completely undress her or fight with putting on tights when changing a diaper. Finally, I am really excited about Sillymonkeez.com being a part of the giveaway. I found Karen a few months back and have yet to purchase anything. 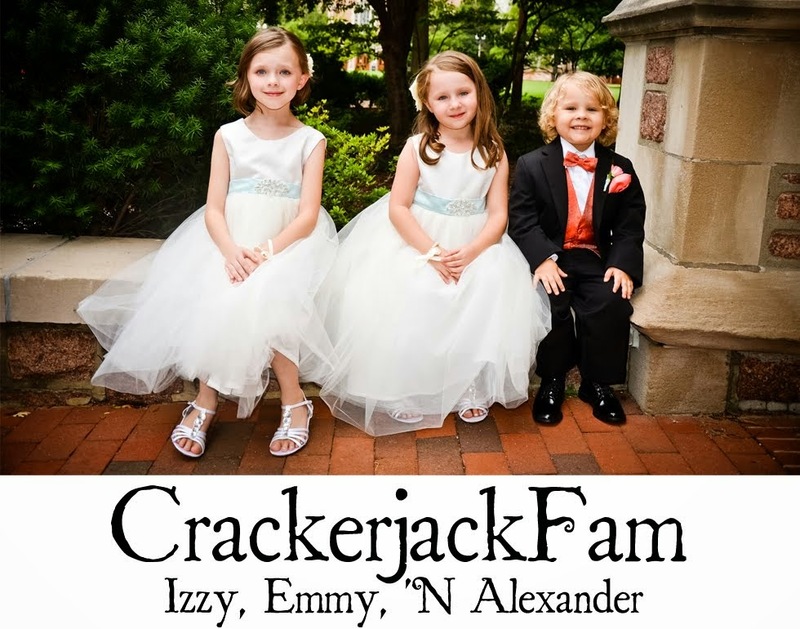 Her company has THE CUTEST clothing for your little ones and for adults too. My little Monkey's would look adorable sporting some of their shirts. They even have outfits for your pet! How cool is that! Thank you to MomDot.com for offering such an amazing opportunity during a wonderful season. A great gesture during a season of giving. I know as a SAHM I have the same feelings. I have a degree in an area where I could go back to work tomorrow if I wanted to (special education teacher). This sounds like an amazing giveaway! You have the hardest, and most important job in the world. Never forget that - and I'll bet your husband would agree with me. Wow, this post had to take up some time to create. :) I totally remember one Christmas when I did have nothing to give my kids for Christmas and I wonder if my kids remember.